You wouldn’t think there was so much to this subject. We’re talking business cards here, right? Not the world’s banking institutions! But I think there is much to say about every subject if you keep drilling down. I give a great deal of thought to what I can say in these articles about business marketing ideas and techniques. My goal is to share things that, hopefully, will make a significant difference for you in your professional life. Toward that end, I’m going to delve deeply, as promised, into the minutia of each one of the practices in order to get to the motivation that will result in more business for you. Although the subject of business cards may not seem to be a topic worthy of such delving, I suggest that it may be the very one that shifts the tide of your thinking about how you present yourself out there in the business world. In my last article, I wrote about how business cards are probably the first piece of written material we hand to someone, and, as such, it’s important to make sure these cards represent you in all the ways you want to be represented. Now, I’d like to focus on the dispensing of business cards and the etiquette thereof. Call me crazy, but lately I’ve been feeling a dearth of common courtesy in the world at large—business-wise, personal-wise. For example, people often think nothing of texting while someone else is speaking (I could go on and on, but I won’t—you know what I’m talking about.) So, when you are at a networking event, meeting people for the first time, and it feels like the time to pull out those business cards, what do you do? Your impulse may be to succumb to the “That’s what we’re here for, so why not?” way of thinking, but being divorce and family mediators, we don’t want to come across as pushy about our work, or as advocates for divorce and separation. There is a subtle nuance to be sure, but how we conduct ourselves when handing out our business cards may be the beginning of the impression we give to a potentially valuable business relationship. Most people at the first obvious moment hand them over. Although handing out cards that way may be effective to some degree, it’s more like the old adage about throwing “you know what” against the wall and hoping something sticks! Doesn’t it make more sense to have someone take your card because they truly have an interest in what you do and may know someone who can benefit from your services? That’s what I’m after. I’ve learned a few things through years of networking and of watching people dispense business cards a hundred different ways. I’ve seen it done elegantly, and I’ve seen it done not so elegantly. In fact, one time, I was invited to a breakfast meeting for members of a like-minded profession and, as with most of these events, there was at least a half-hour before the breakfast was served and the meeting began, time set aside for general meet and greet networking. I watched horrified as one regular attendee, an affable enough fellow, worked his way through the room, just handing out scores of his business cards, helter-skelter. He spent zero time even introducing his services except to say that he was “the best in the business” before he moved on. He certainly didn’t take the time to get to know anyone to whom he was handing out his cards. Nor did anyone have an opportunity to get to know anything about him. This may be a hyperbolic example (true though it may be), but we’ve all seen this sort of behavior before. Would I, for any reason, ever do business with someone like this? I promptly threw away his card, as soon as I left the event. The next time that I was invited to this event, I watched him do the very same thing. He just didn’t get it. My rule about handing out my cards is simple: I don’t do it unless someone asks me for it. I spend whatever time I have trying to get to know the other person and asking a lot of questions about what THEY do. Then it’s my turn to introduce myself and my services. People are always fascinated by divorce mediation and invariably ask me for my card(s) or suggest that we schedule a date to meet for coffee or lunch to get to know each other better. When it comes to dispensing business cards, let them come to you. Whether it’s a networking event or any other place you meet people, thrusting your cards into people’s hands is a No-No. And, because of the nature of what we do, I’m always very careful. Again, I don’t want to give the idea that I’m advocating for anyone’s separation or divorce, and I certainly don’t want to give the impression that I’m chasing anyone for their business. I see myself as an educator and service provider for anyone who has the need or knows someone who has the need of my expertise. I know when someone asks me for my card, they want it, they have a need for it, and they will likely refer business to me. And that is what a business card is for. 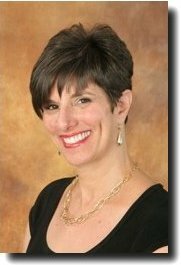 Ada L. Hasloecher is the founder of the Divorce & Family Mediation Center on Long Island, New York, a former board member of the New York State Council on Divorce Mediation and a Founding Board Member of the Academy of Professional Family Mediators. She is also a trainer at the Center for Mediation and Training in New York City. Ada is frequently asked to present workshops and seminars on divorce mediation as well as professional practice development, marketing, building, and practice management. This article was originally published in The Professional Family Mediator, Spring 2013.